ID Tech Omni Barcode-Stripe Reader - Tracks 1, 2, & 3, RS-232 interface dual barcode slot reader & MSR. Includes power supply & RS-232 cable. Color: black. 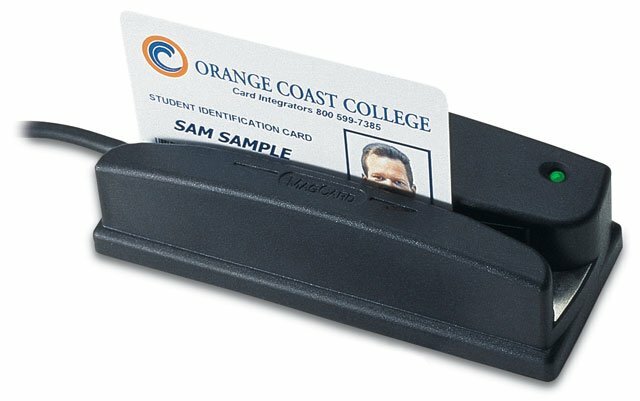 The Omni Barcode-Stripe Reader scans barcodes printed on paper, card stock, or plastic. The ID Tech Heavy Duty Omni Barcode-Stripe Reader can read barcodes and magnetic stripe reader. In addition to rugged housing, the Omni Barcode-Stripe Reader has a metal base with tapped holes and rubber feet, and can be Velcro mounted. Multi-colored LED (not on TTL). The cable can exit at the end, side or straight down. Options include visible or infrared barcode scanning, as well as TTL, RS-232, Keyboard wedge (AT/XT, PS/2, or Mac), Weigand or USB interface options. The ID Tech WCR3227-633 is also known as IDTech	IDT-WCR3227-633	or WCR3227633	.